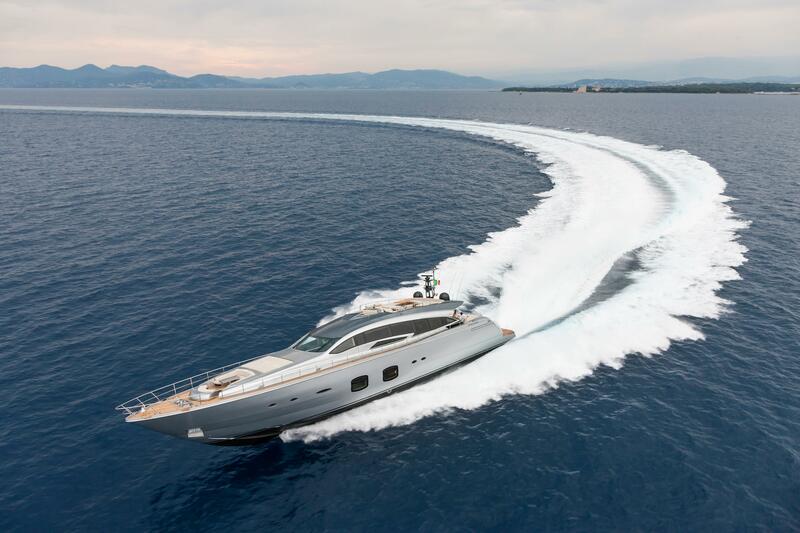 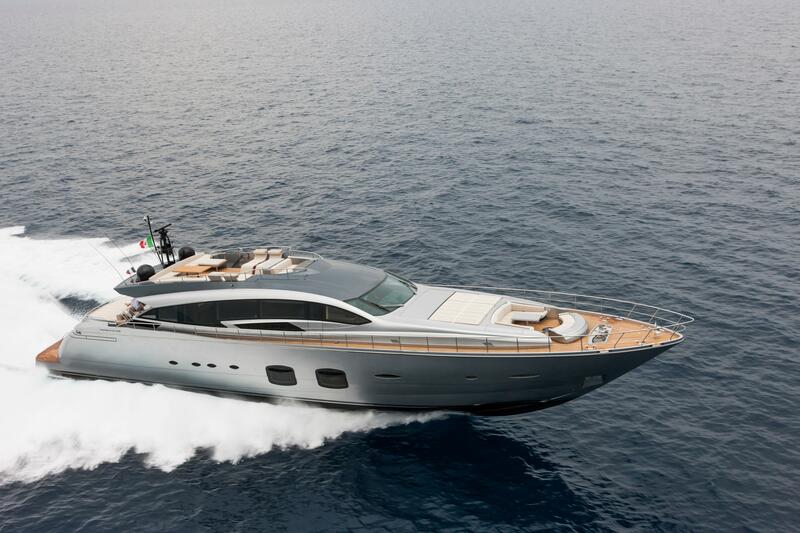 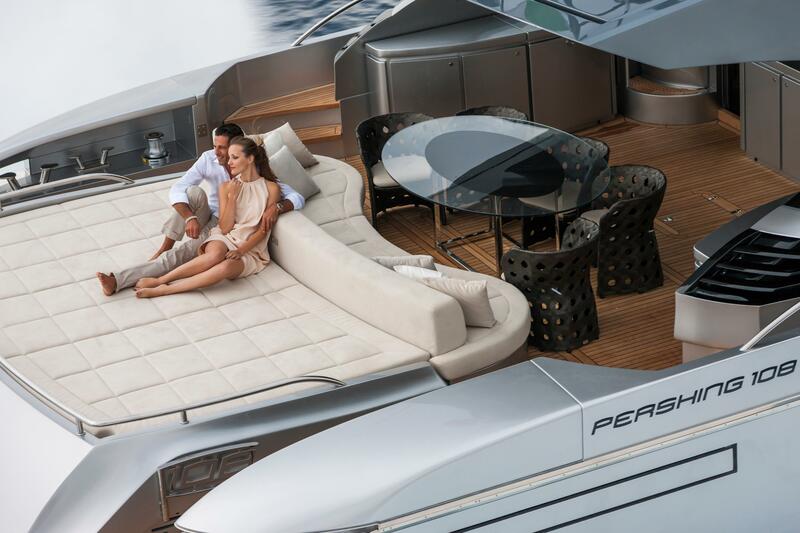 The Pershing 108 is the fleet’s first model to be produced with triple engines. 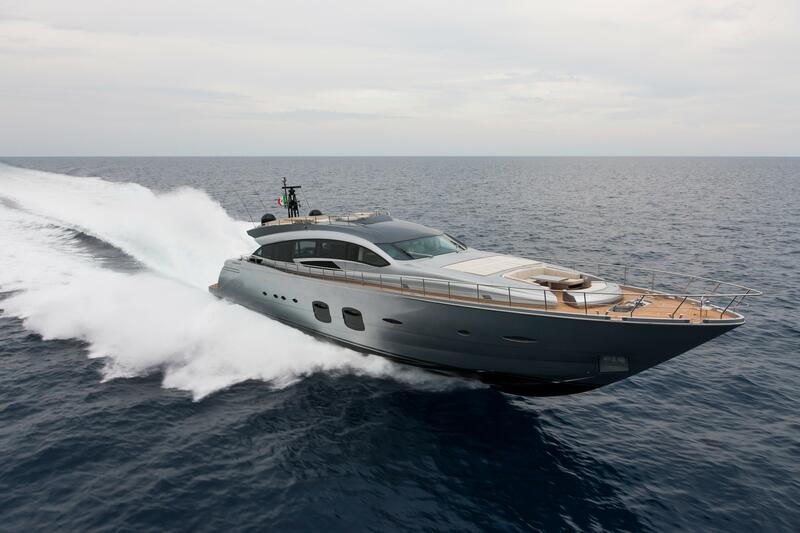 With the three surface-piercing propellers, it reaches a maximum speed of over 42 knots in total silence. 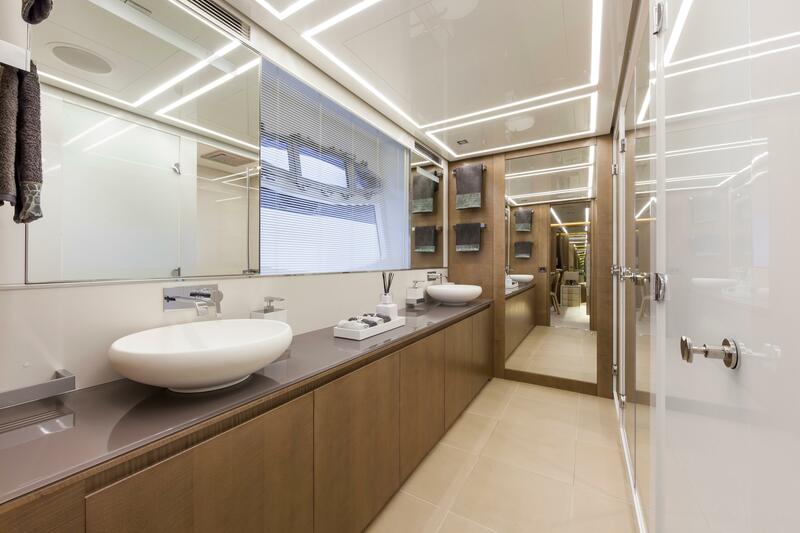 Moreover, considering the low consumption, it is consistent with the concept of ecological performance. 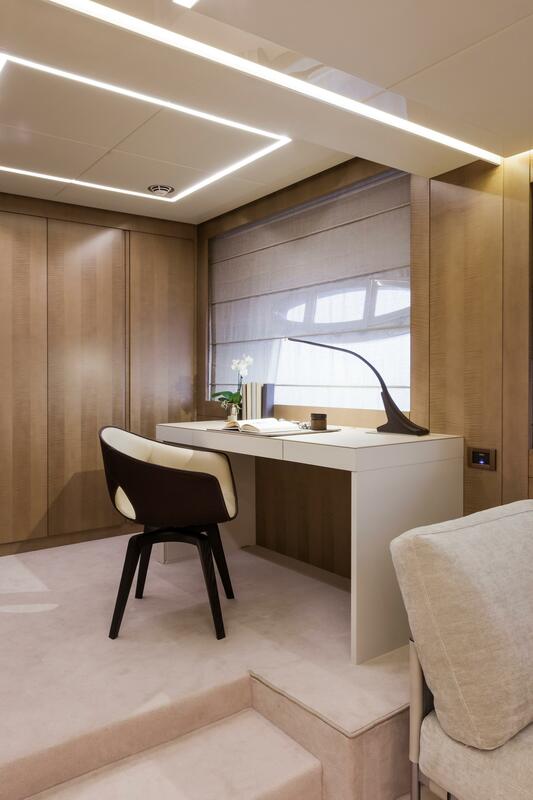 The interior design has been studied to achieve extremely versatile customisation that makes this yacht a precursor of future models. 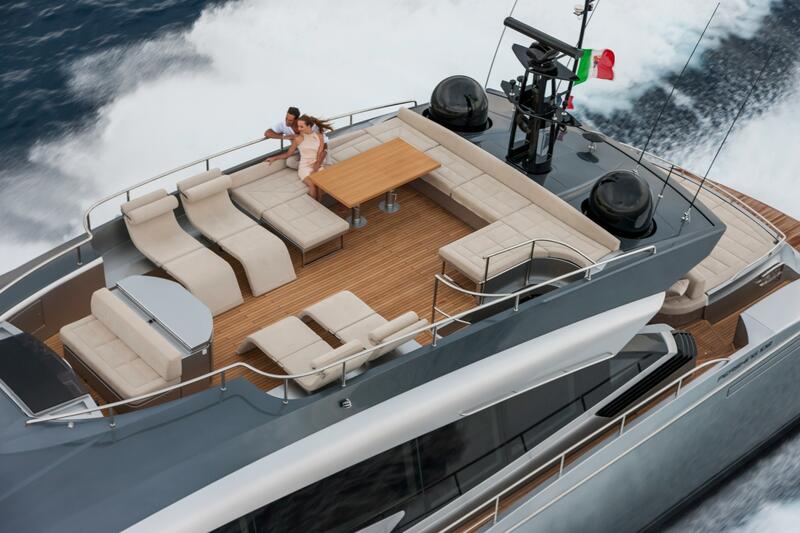 representatives of the world boating industry. 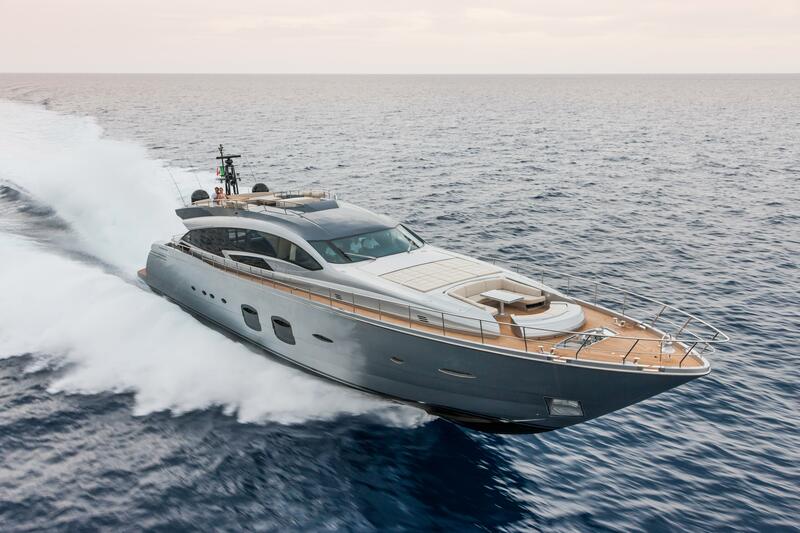 This first three-engine model in the fleet combines excellent performances with environmental friendliness thanks to very limited fuel consumption. 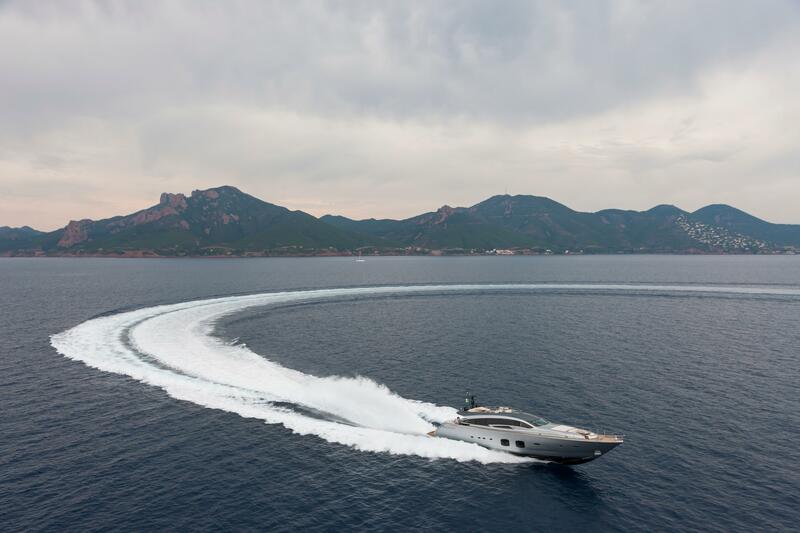 Thanks to 3 surface drives, it can reach a maximum speed of over 42 knots in blissful silence. 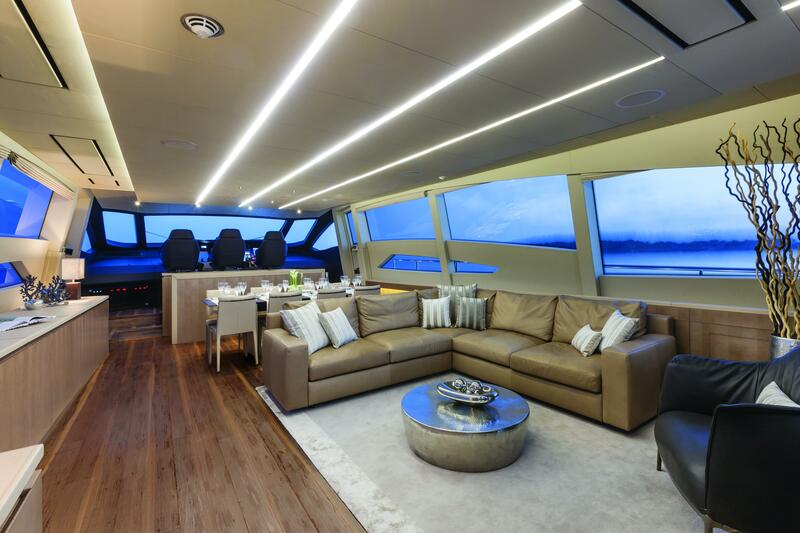 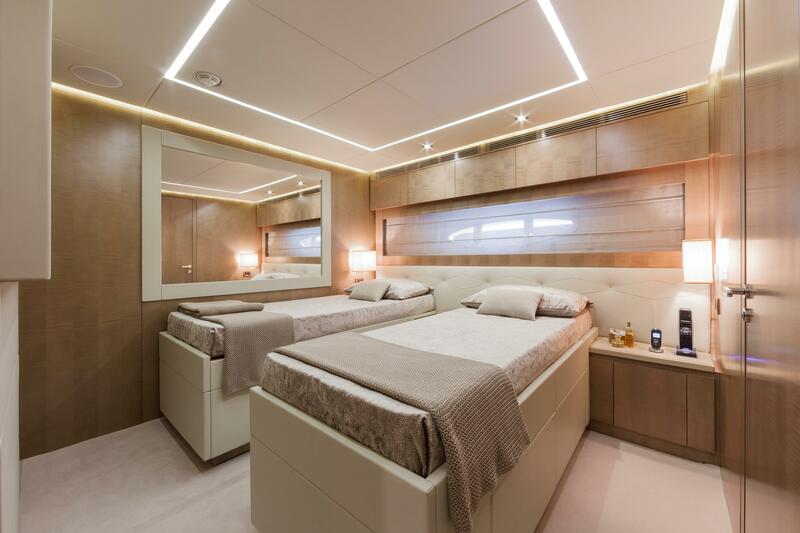 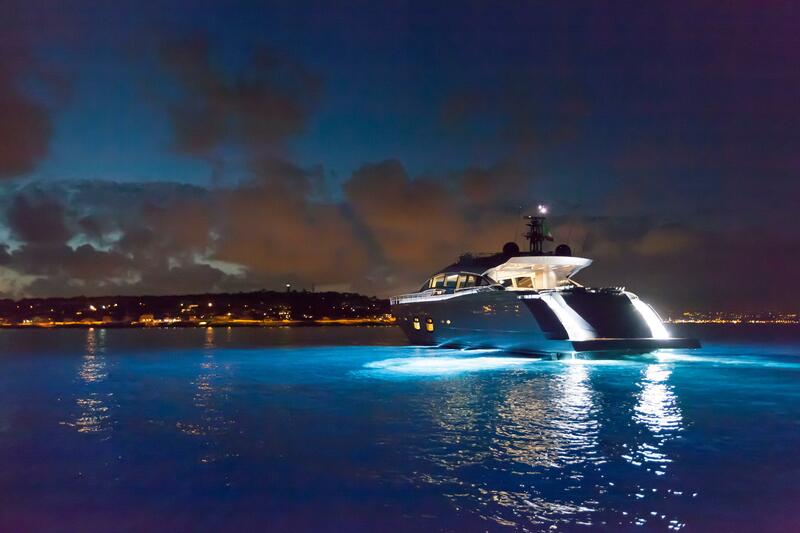 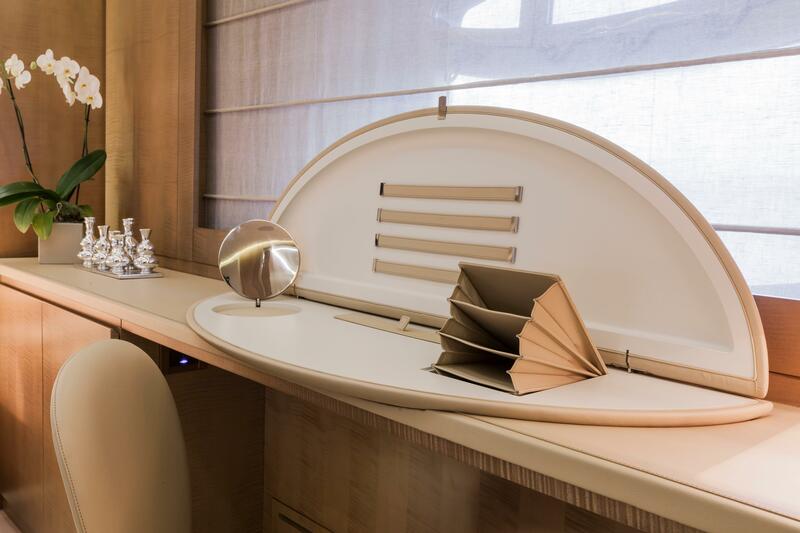 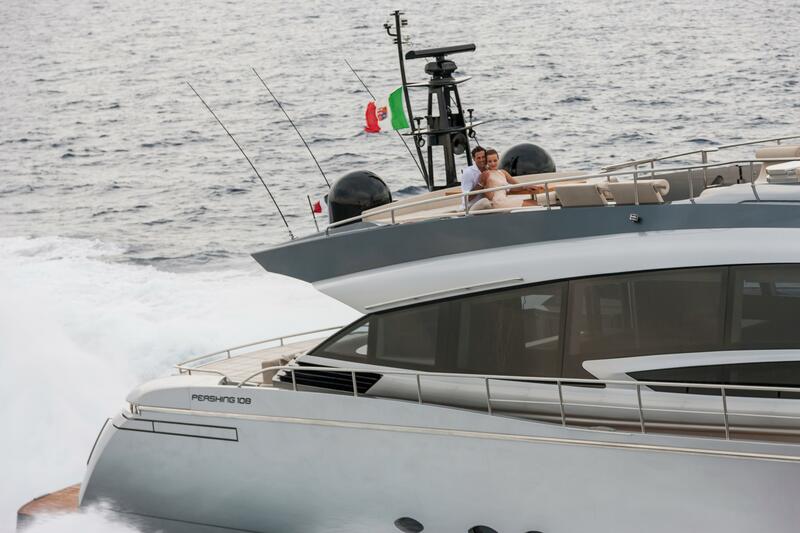 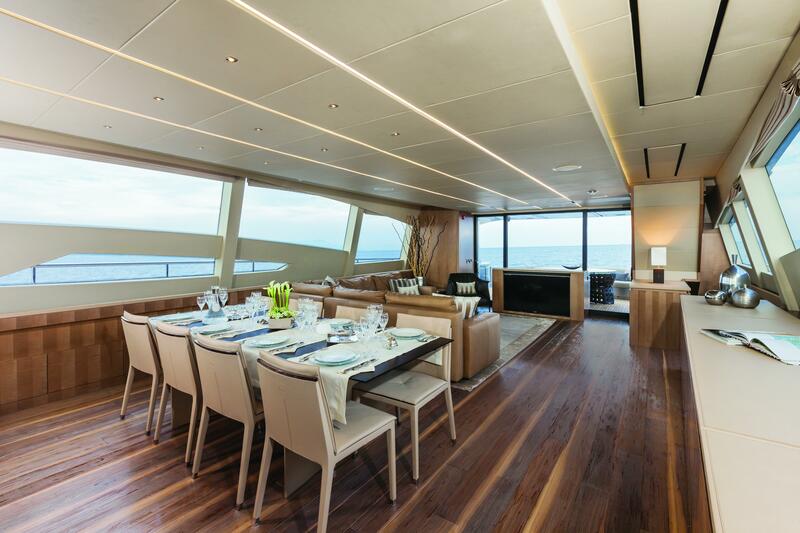 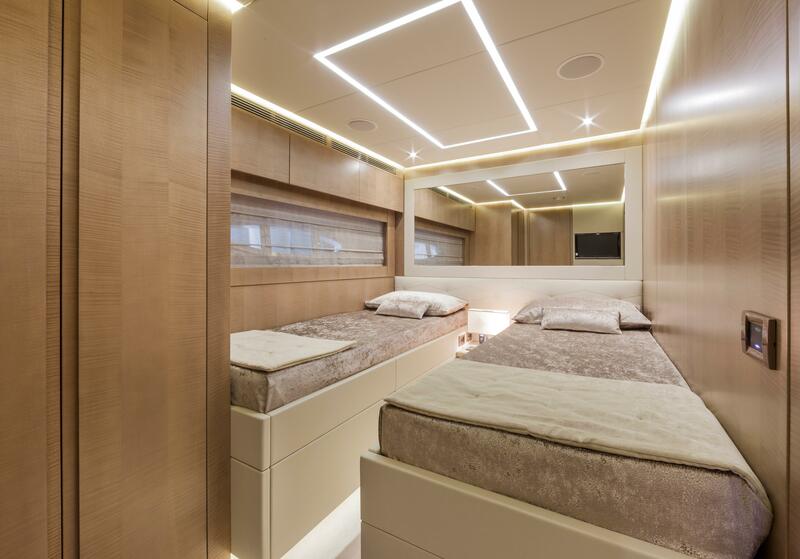 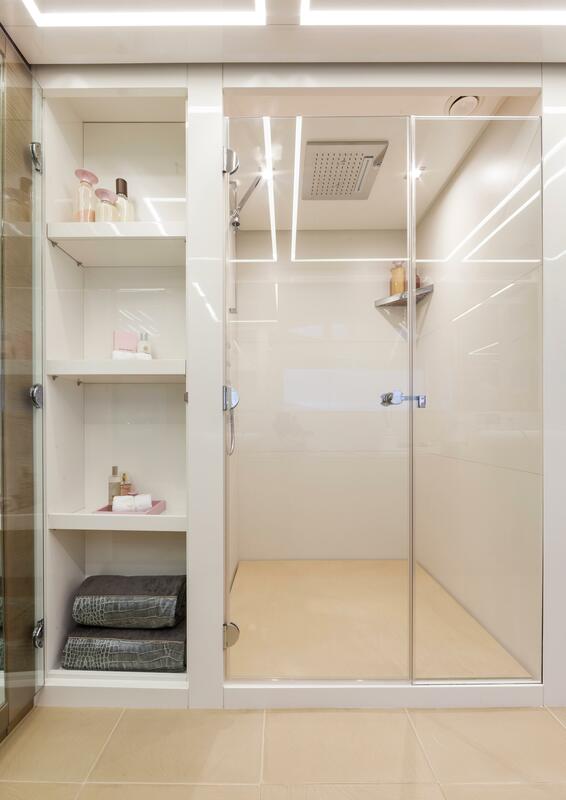 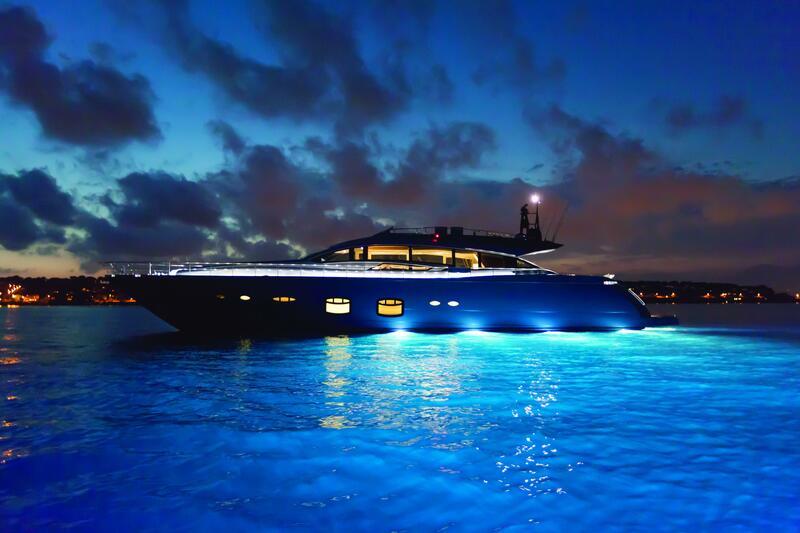 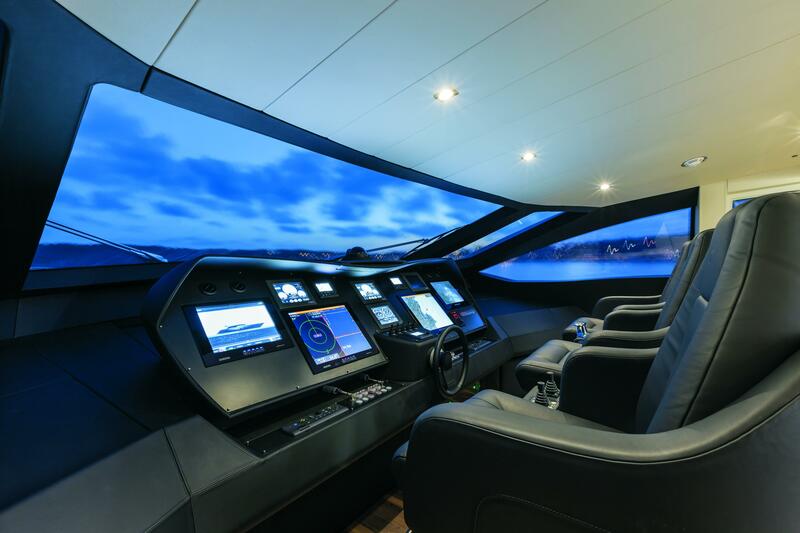 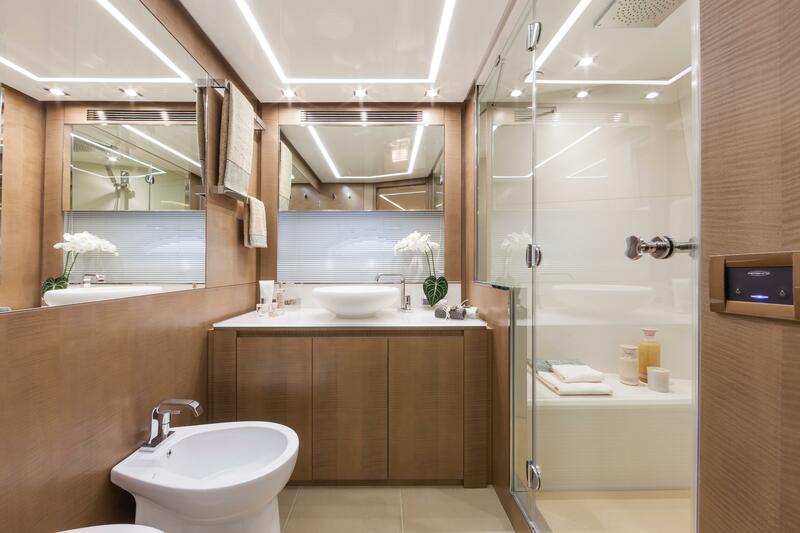 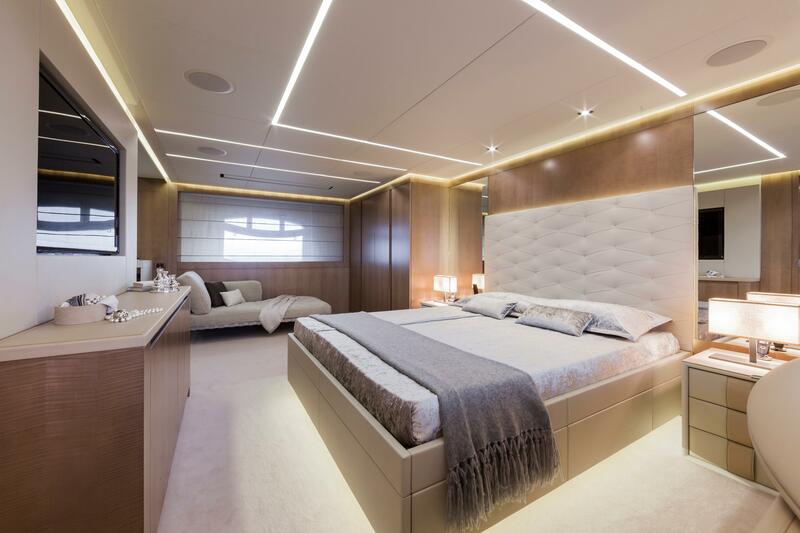 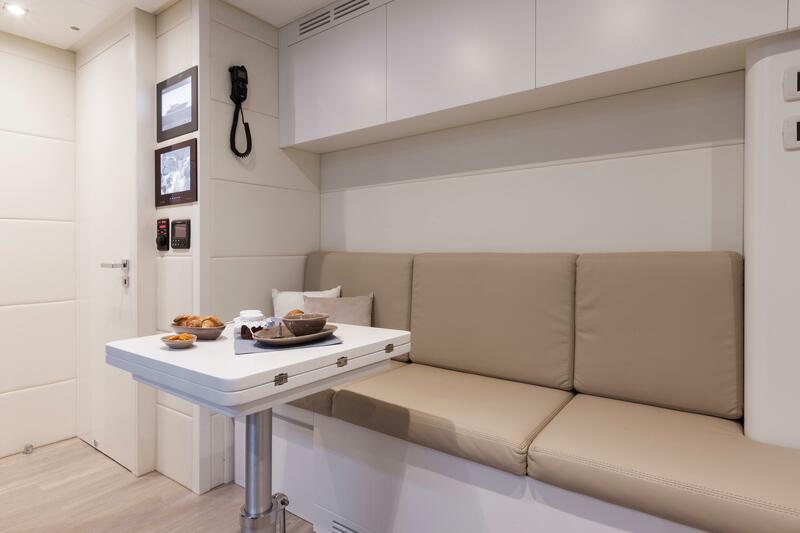 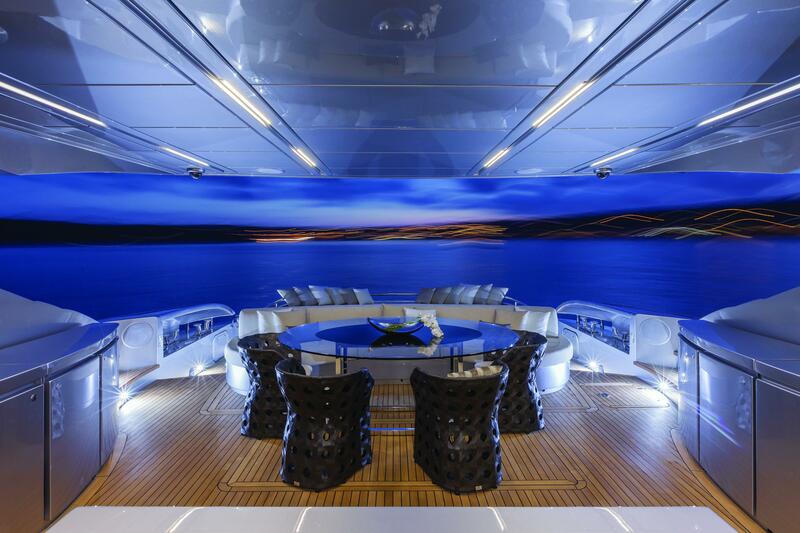 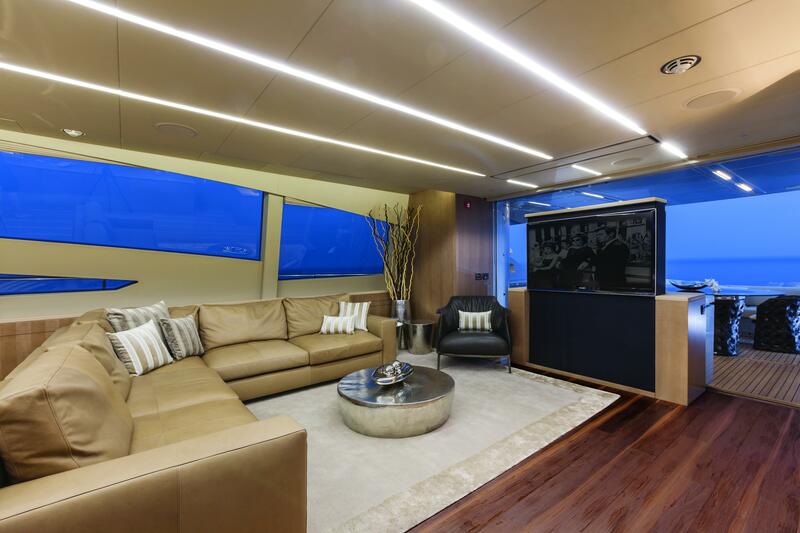 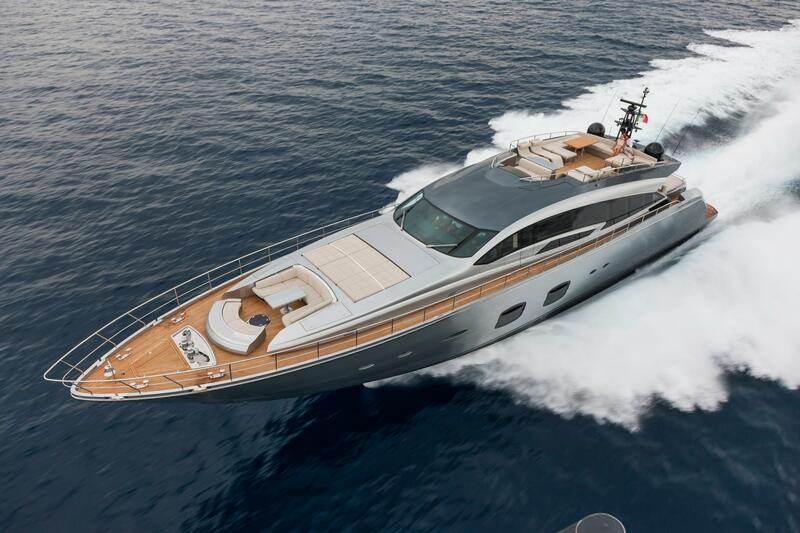 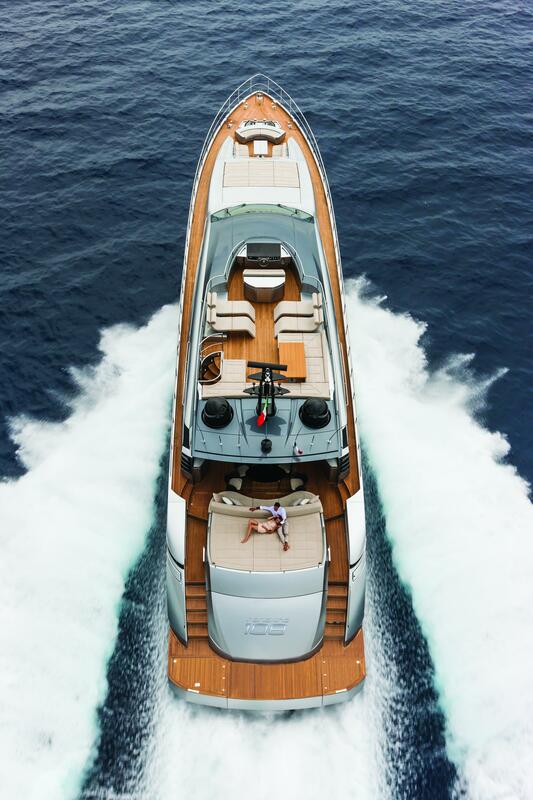 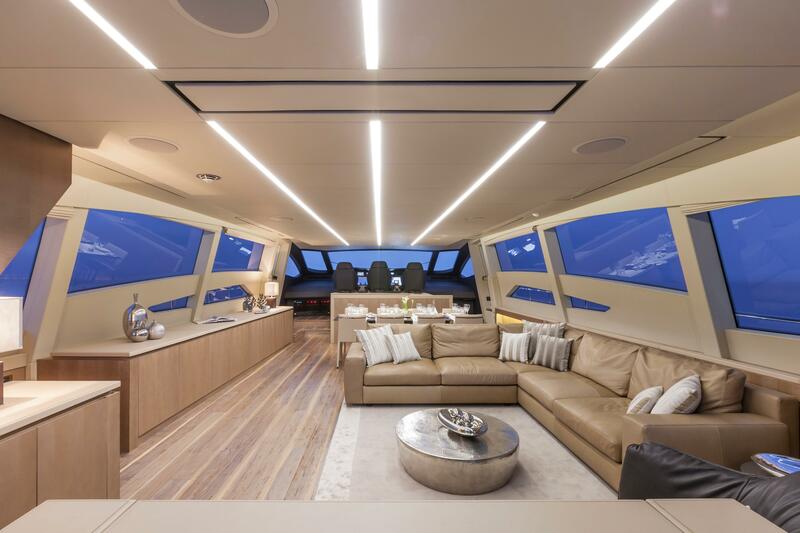 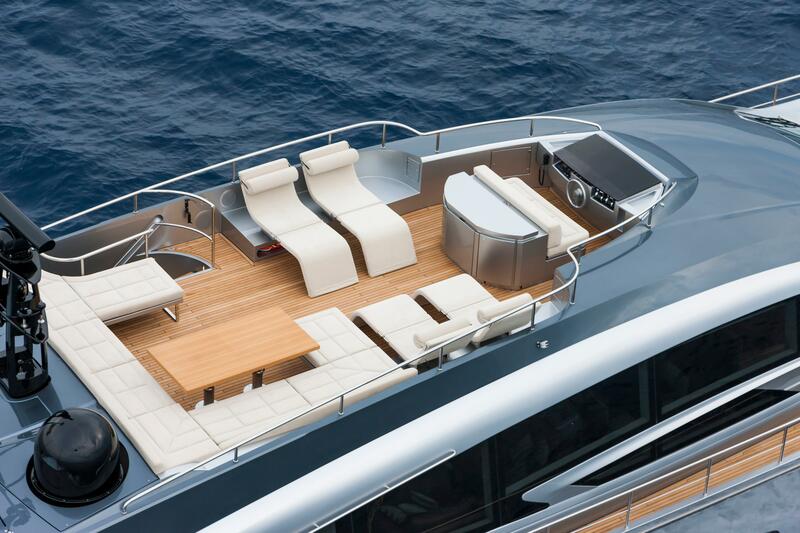 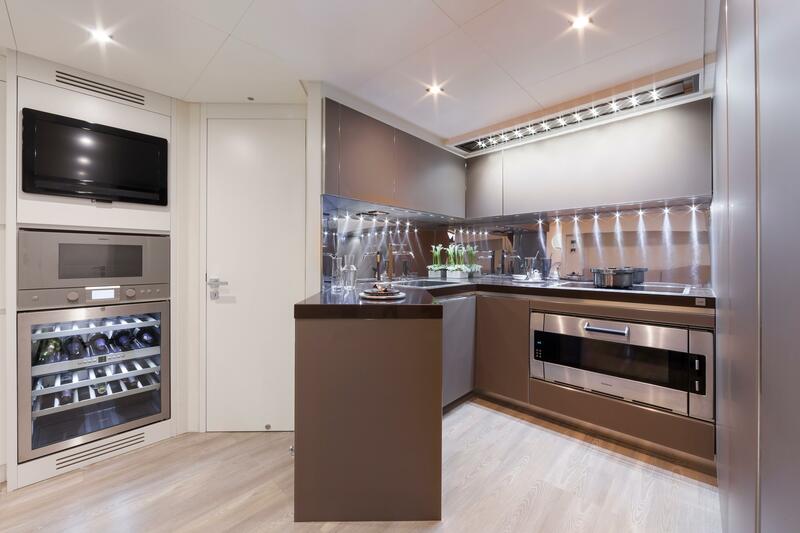 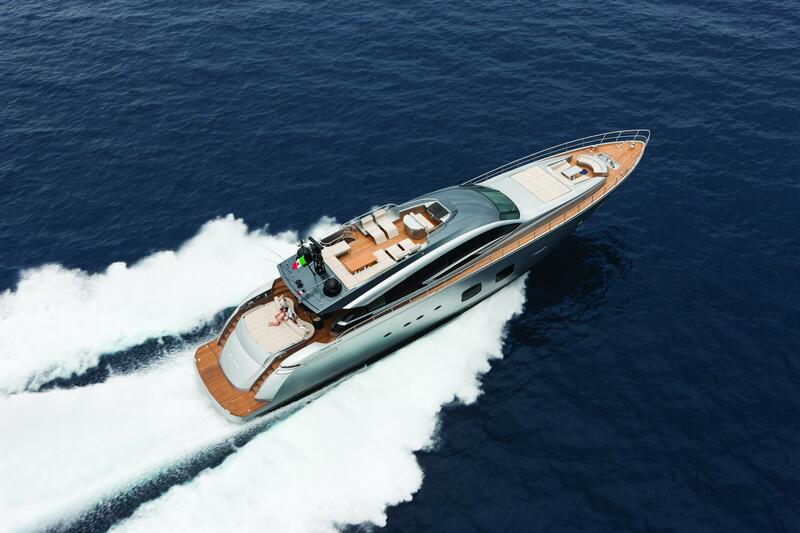 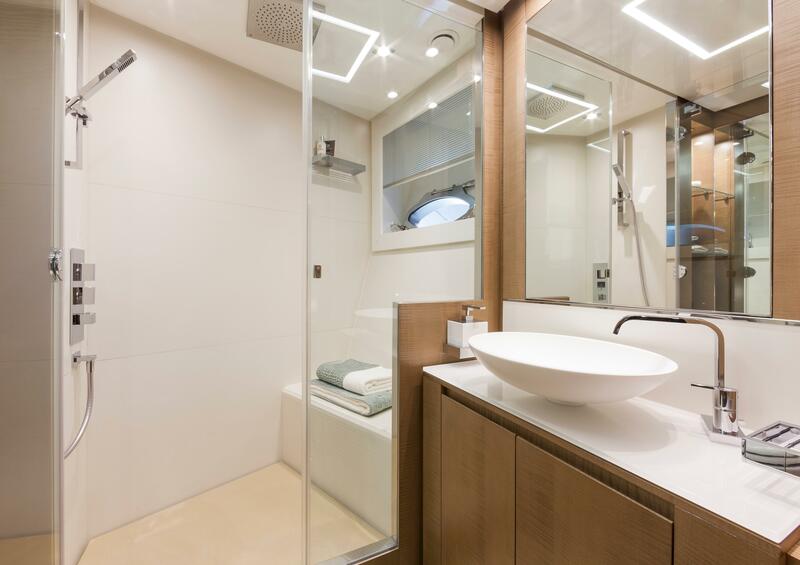 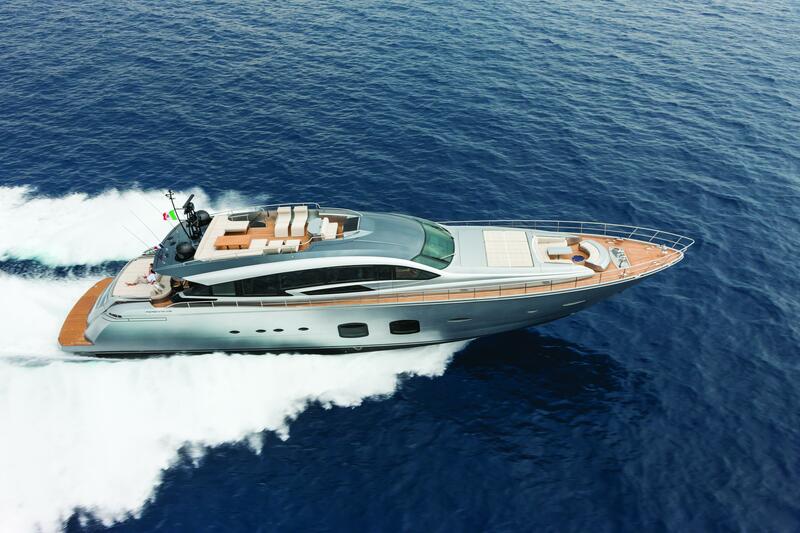 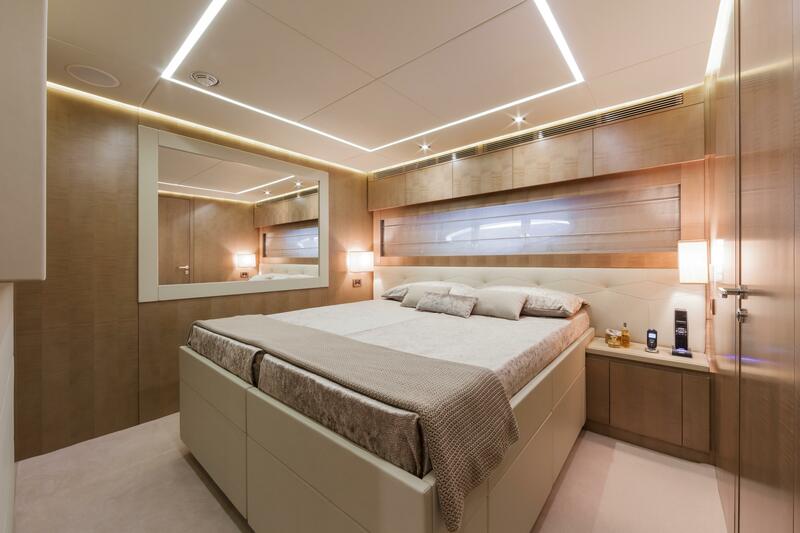 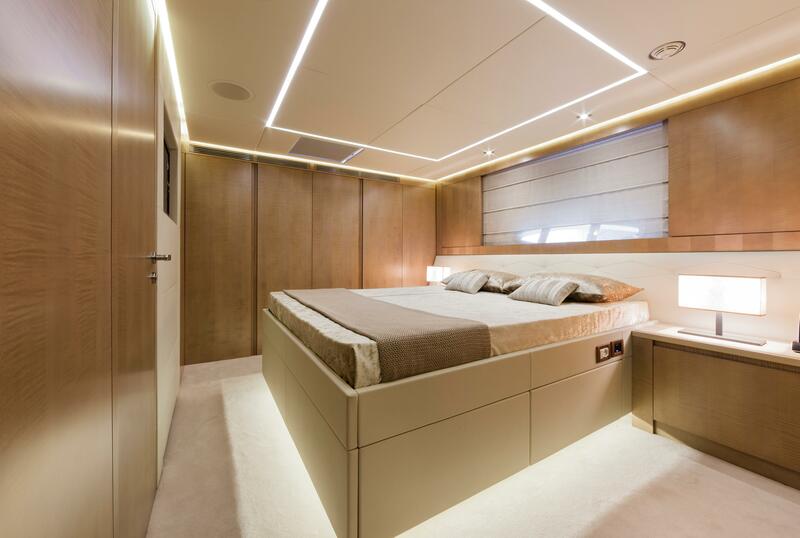 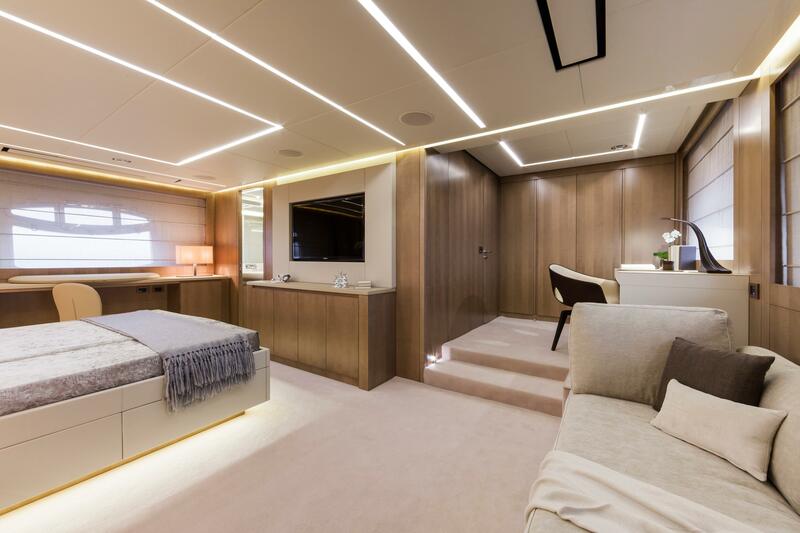 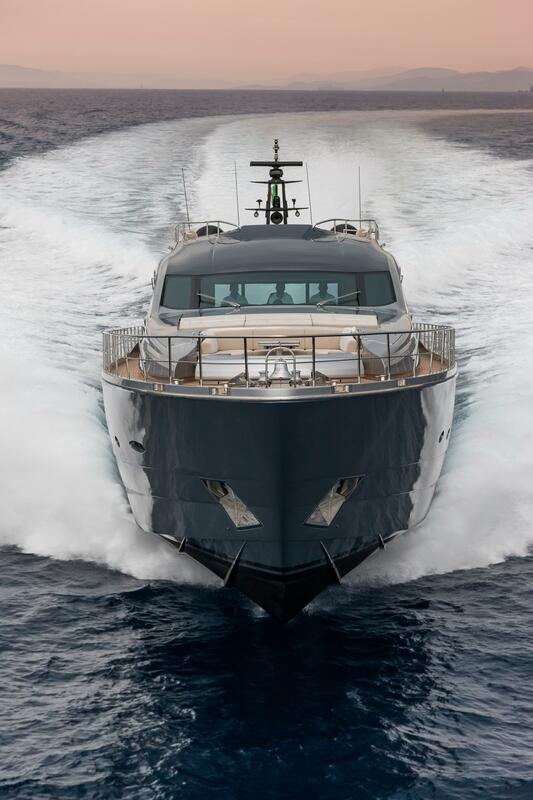 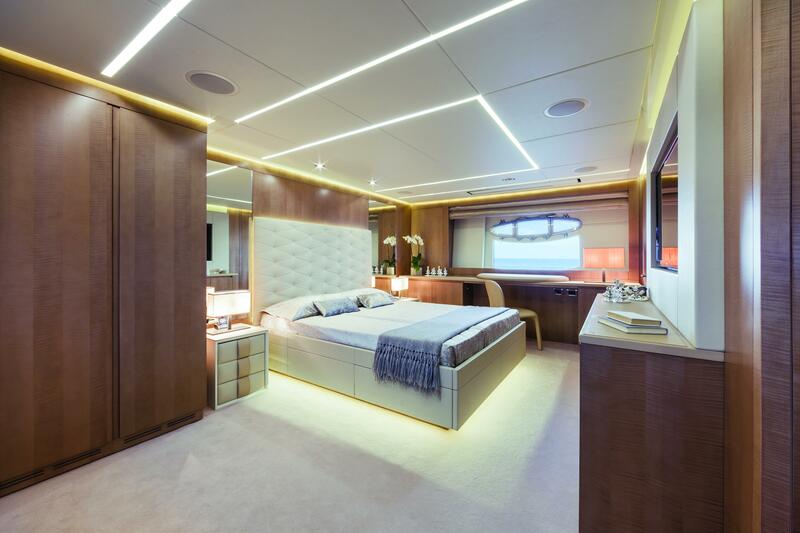 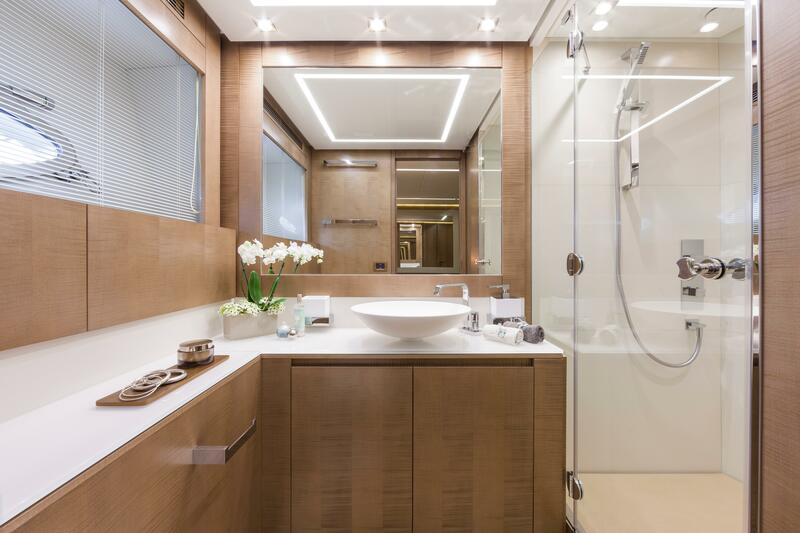 The design of interiors can be extensively customized, making this yacht a true forerunner.